In 1994 – yes, two decades ago, the very first year of Naxos AudioBooks – two actors came into our studio who were to play a pivotal role in the development of our range of classics: Anton Lesser and Juliet Stevenson. Anton came first and recorded Paradise Lost (in abridged form – the fashion at the time); then came Juliet to read To The Lighthouse. As affecting as these recordings were, I am not sure that we realised we had started an association with these two outstanding readers which was to continue to the present day: earlier this year, Juliet’s widely-praised unabridged recording of Madame Bovary has taken her total number of recordings to nearly 30, with more to come! Her range has been extraordinary: almost all of Jane Austen, a series of fine Virginia Woolf and the finest recording of Middlemarch. She has also read The Golden Notebook, Doris Lessing’s challenging 1950s classic, Samuel Beckett’s Not I (presaging her stunning performance of Happy Days at the Young Vic earlier this year) and Rose Tremain’s The Road Home. Though busy on the big and small screen, and the theatre, she has always found room to come in to our studio to sit and read, day after day, without any diminution of energy or intelligence, even though often she was in some great drama on stage each evening. We have no idea how she does it. Anton’s list of recordings goes over 40! Though a very familiar face on TV and stage (especially RSC, Stratford) with beautifully judged performances, he again has read a remarkable range of great literature, most recently the War Poetry of Wilfred Owen. After Milton all those years ago, he came straight back into the studio and put down his first Dickens – Great Expectations, which won the award for the best classic. It was the first of many: no one has opened A Tale of Two Cities quite like him. Then there was Homer, Hamlet (the title role of course), Sterne’s Tristram Shandy (a personal favourite of mine! ), Hardy, poetry by the yard, and even more Dickens: having done so many abridged he returned to repeat them unabridged, giving his many fans even more joyful moments. To be honest, few readers seem to have given the followers of Naxos AudioBooks more unquestioning delight than Richard Armitage. We have had more letters, more cards and emails concerning him, AND boxes of Belgian chocolates sent by courier, than anyone else, begging us to ask him to come and read more Georgette Heyer, or more anything. We ask, but alas he is too busy starring in films, on TV and currently in The Crucible. All I can suggest for those who feel bereft is that they go to www.richardarmitage.info where, apart from loads of info, they can see a three-minute compilation put together by a keen armitagienne of all his screen kisses. Some of them with his torso bare. Or listen again (or for the first time) to The Convenient Marriage, Sylvester and Venetia on Naxos AudioBooks. I promise they are equally satisfying. There was a time when Sean Bean presented a similar magnetism – but for Naxos AudioBooks he read our single best-selling junior classic: King Arthur and the Knights of the Round Table. And knightly he certainly was. Brian Cox would never pretend to have the same allure, but his powerful presence which made him a regular face on Hollywood blockbusters – including the Jason Bourne series – certainly comes across on audiobook, be it Dracula, Brief Lives or Conrad’s Youth and Heart of Darkness. Toby Stephens (like Bean, a Bond baddy once) also shone in our Junior Classics with Tales from The Arabian Nights, and demonstrated his range in The Aeneid. Another Toby, Toby Jones, seen in many a Hollywood film of late, presents a multi-faceted and hugely entertaining Mephistopheles in Goethe’s Faust – what a consummate performer. 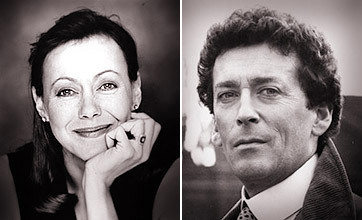 Two names from a different era are Jenny Agutter and Robert Powell. Everyone remembers Jenny from the original film of The Railway Children, but we have seen her in many guises on Naxos AudioBooks: from Ballet Stories (she was originally trained as a ballerina) to The Secret Garden. Her very first title for us was none other than Pride and Prejudice (abridged, but no less absorbing for that). Robert Powell also has one iconic screen presence (the title role of Jesus of Nazareth) in a very busy career over many years. But for us he read two key titles (we being a Naxos company), The History of Classical Music and The History of Opera. More recently, Alan Garner (author of The Weirdstone of Brisingamen) asked Robert especially to read his latest work, Boneland. 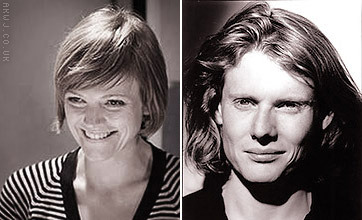 Two actors who are very much before us at the moment are Maxine Peake and Julian Rhind-Tutt. A charismatic presence allied to a rich acting talent has make Maxine a regular on our TV screens, and she is about to take the leading role in Hamlet at the Royal Exchange, Manchester. Though she is rarely heard on audiobook, I was delighted when she agreed to read Lady Chatterley’s Lover for us – she made the text very much her own! Julian has been another surprise – popping up unexpectedly in many places, including a characteristically quirky cameo in Lucy, Scarlett Johansson’s movie about a woman with special powers. Julian’s considerable range can be seen in his two recordings for Naxos AudioBooks, a masterly reading of Bulgakov’s The Master and Margarita, and the early Georgette Heyer romance The Black Moth. Finally, I would like to mention two fine classic English actors. Alex Jennings shows his range in varied recordings, including The Psalms, The Sonnets and Julian Barnes’ A History of the World in 10½ Chapters. 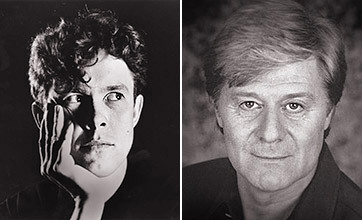 And one of the undoubted stars of the audiobook medium, Martin Jarvis. No one who has heard his presentation of Toad going wild in his car in The Wind in the Willows will ever forget it. But he has also recorded for us three other great English gems: Three Men in a Boat, The Diary of a Nobody, and The Incredible Adventures of Professor Branestawm. What a talent! Enough names, I suppose. There could be more. But what a list. And what recordings. Not always does talent on screen transfer to the intimate medium of audiobook. It is the difference between big concertos and chamber music, I suppose. But my oh my, what jewels we can enjoy – for ever.